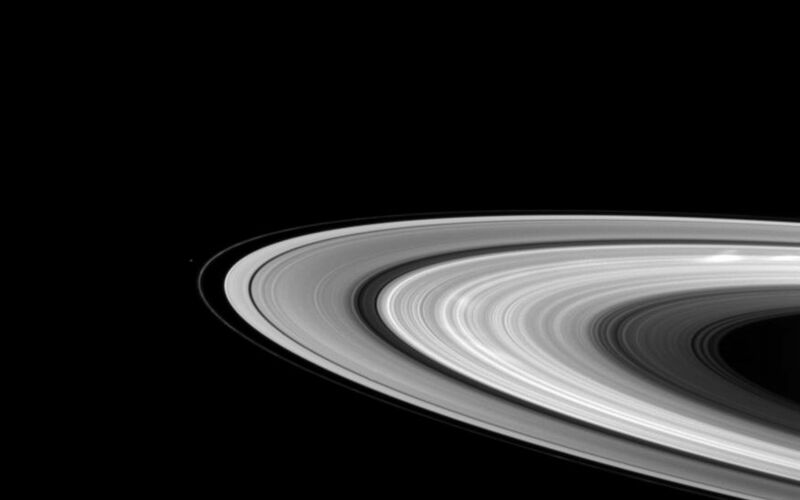 Bright spokes grace Saturn's B ring in this Cassini spacecraft snapshot that also features a couple of the planet's moons large and small. 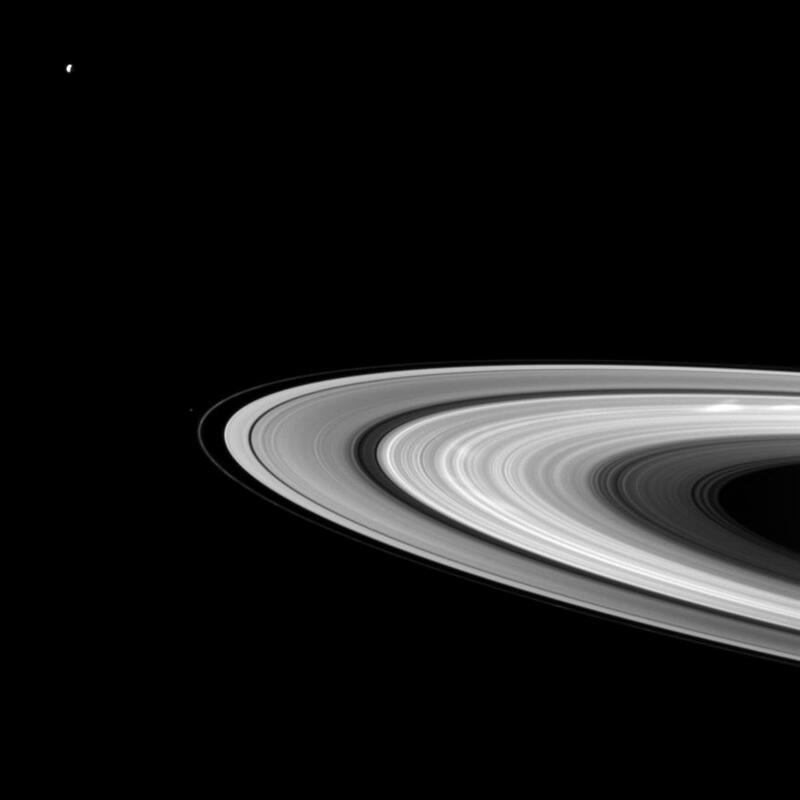 Dione (1,123 kilometers, or 698 miles across) can be seen in the upper left of the image. 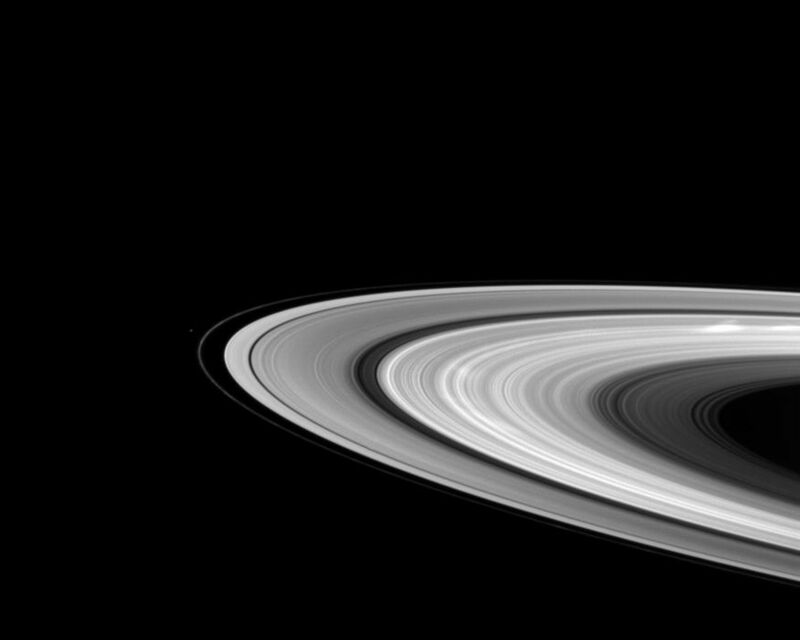 Pandora (81 kilometers, or 50 miles across) appears as a small speck beyond the thin F ring near the center left of the image. 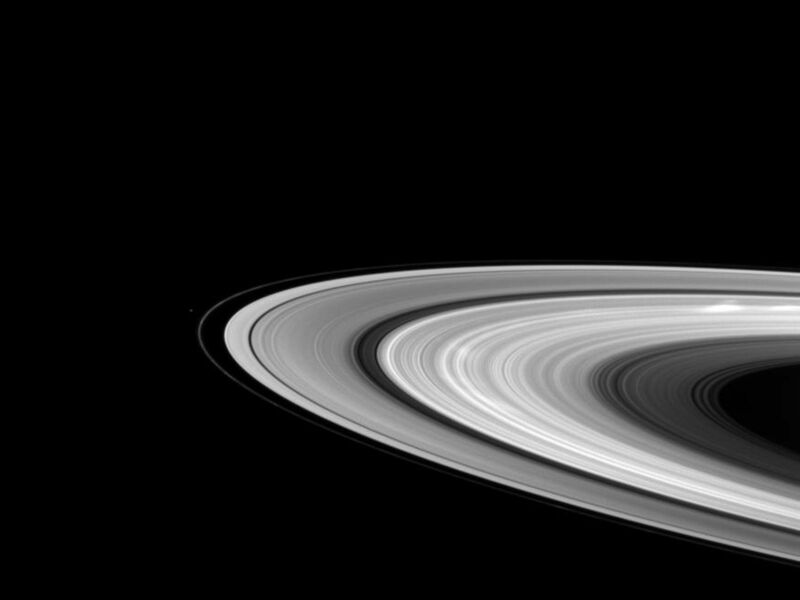 The spokes are particularly noticeable on the far right of the image. See PIA12605 to learn more about spokes.